Invoxia's kitchen device is the first non-Amazon product to include the Alexa voice interface. 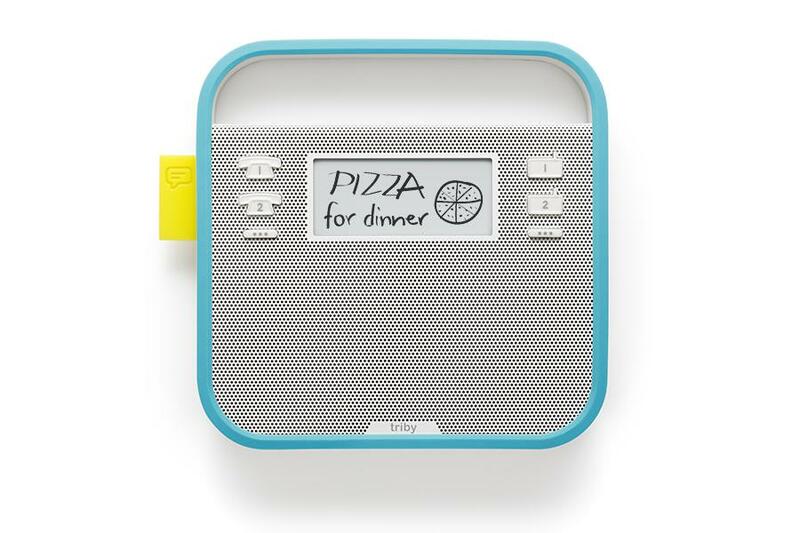 Amazon has integrated its Alexa Voice Service (AVS) with Triby, Invoxia's kitchen device that combines music, messaging, and communication functionality in one voice-activated product. Triby the first non-Amazon product to be Alexa-enabled. Triby is a combination of a digital assistant, Internet radio, connected speaker, hands-free speakerphone, and connected message board. With Alexa, Triby users have hands-free voice control for information from Wikipedia and the Web, weather, timers and alarms, news, shopping/to-do lists, sports updates and scores, smart home features, calendar entries, IFTTT, and other features. "As a company with a specialty in creating speakers and telecoms devices, we are excited by the world of possibilities consumer products like Triby offer families to improve their lives," said Sébastien de la Bastie, managing director of Invoxia, in a statement. "Our expertise in far-field voice capture and connected devices helped us integrate the Alexa Voice Service quickly, and now the already multifunctional Triby becomes even more versatile and intelligent, giving people access to continually evolving cloud-based content and services." "We do believe this is a significant move," de la Bastie added in an interview with Speech Technology. "Voice recognition has entered into a new space. It can be heard up to 15 feet away, and you don't have to touch the device to activate it." That capability started with the iPhone 6s, but even with that device, the user has to be relatively close for voice recognition to work properly, according to de la Bastie. Being able to use voice recognition at a distance "is a game-changer," he says. "Our belief is that voice is the new interface," de la Bastie adds. "It works very well to access content services." Users can simply say "Alexa, play Adele" and Triby can play Adele from Prime Music, say "Alexa, add milk to my list" and Triby will add it to your shopping list, or "Alexa, turn off the kitchen lights" and Triby becomes a way to access and control the smart home. Another advantage, de la Bastie said, is that Triby is portable, while Amazon's Echo is not. "Triby has the magic of voice activation and portability," he states. De la Bastie sees Triby becoming the main console for the kitchen, providing weather, traffic, and other content to the user while he is involved in other activities. It could also be the centerpoint of a home's connected devices, displaying temperature and similar information from other IoT units in the home. "You will be able to launch a call, even if you don't have your phone with you," de la Bastie says. "As one of our first Alexa Fund companies, it's great to see Triby offer their customers Alexa integration today," said Steve Rabuchin, vice president of Amazon Alexa, in a statement. "We believe voice is the most natural way to interact with technology in your home, which is one reason we've made access to the Alexa Voice Service available to device makers and developers for free." Triby is priced at $199.